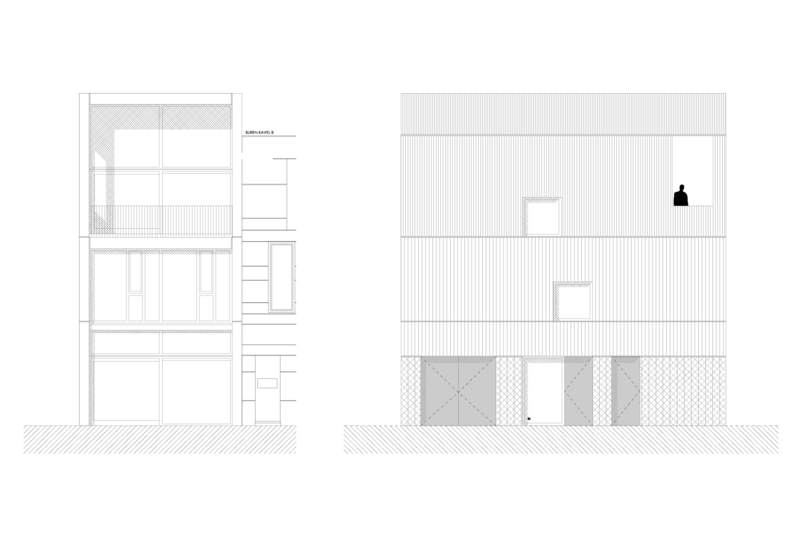 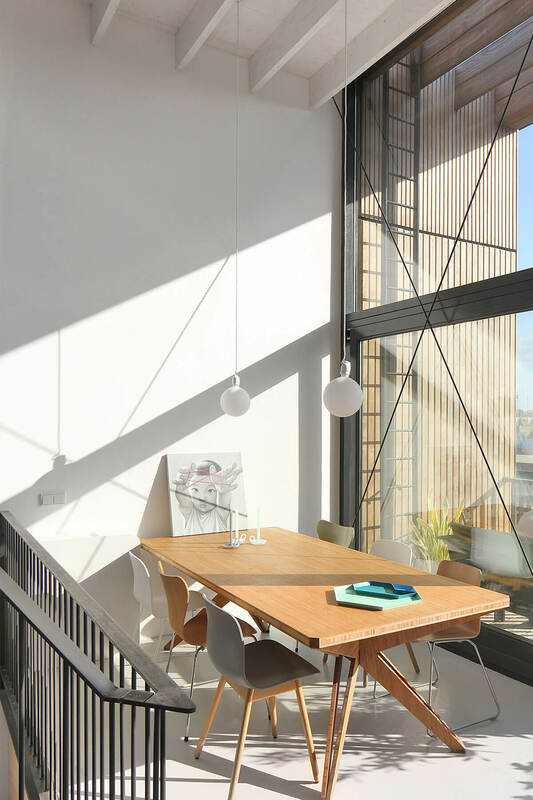 Lofthouse 1 turns a terrace house on its head: the bedrooms are placed downstairs and the living areas upstairs to maximise light and views. 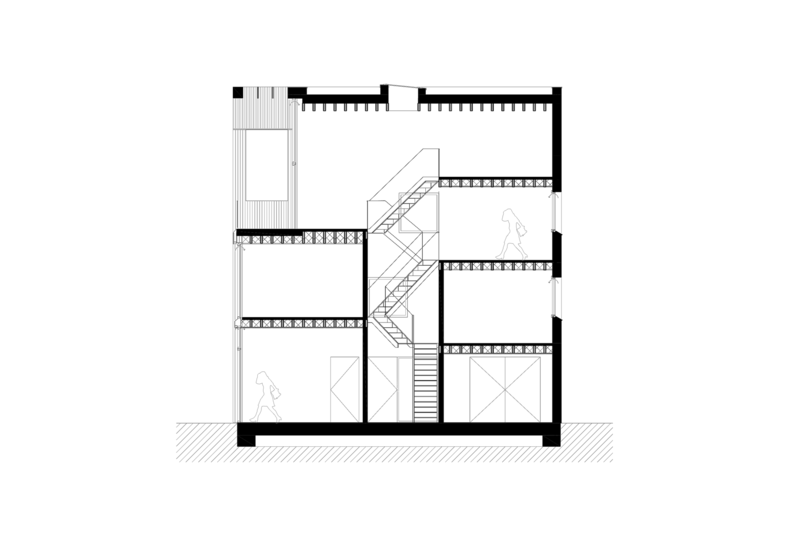 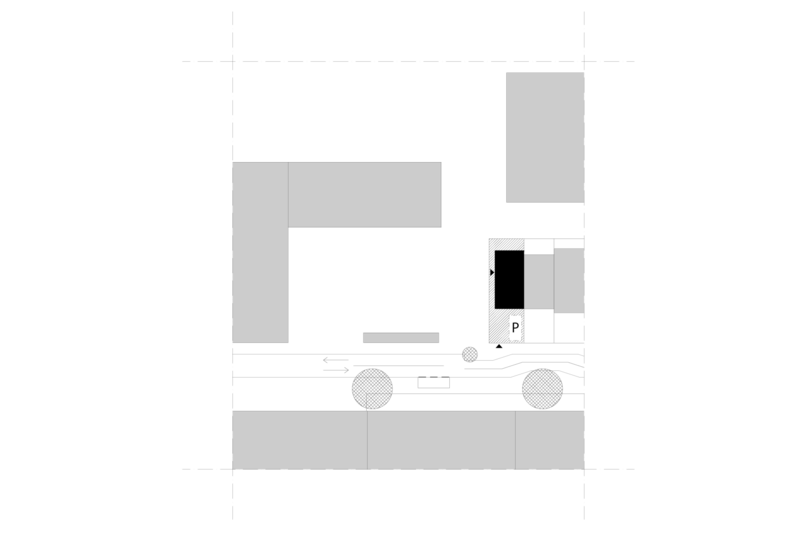 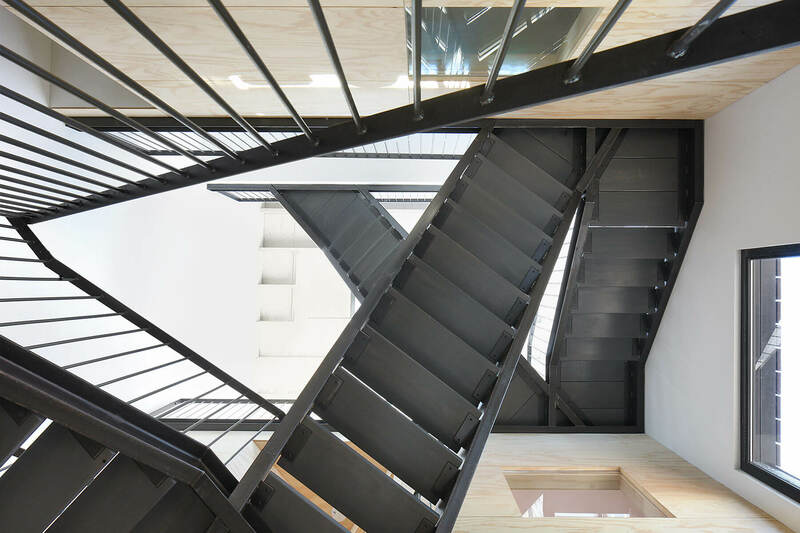 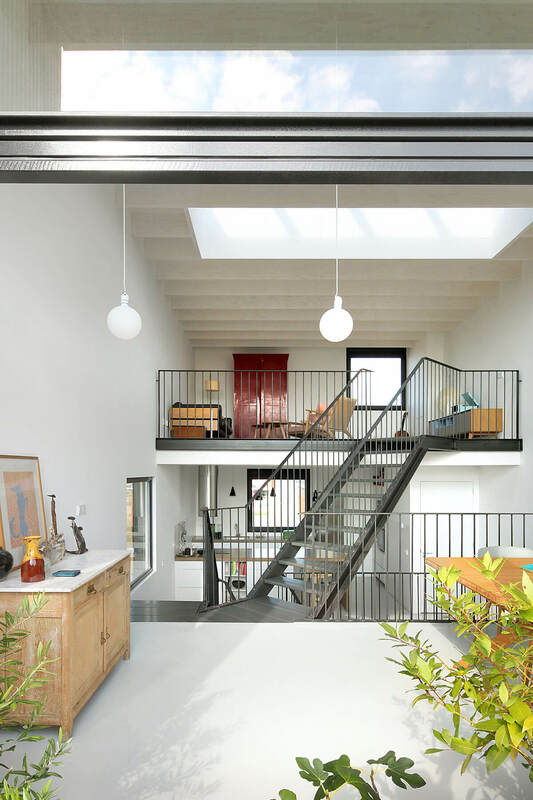 The interior then unfolds as a series of spilt levels along an open metal staircase. 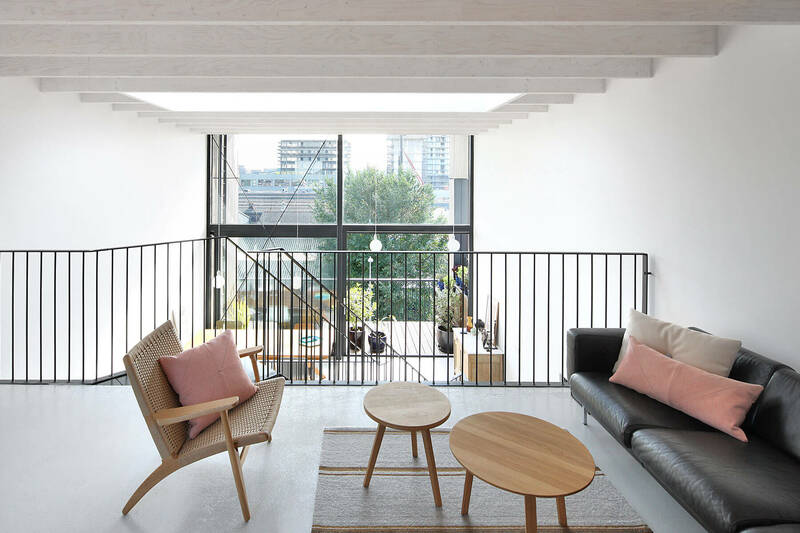 Here the spaces feel more like balconies facing an open courtyard where the family can easily see each other from the different floors. 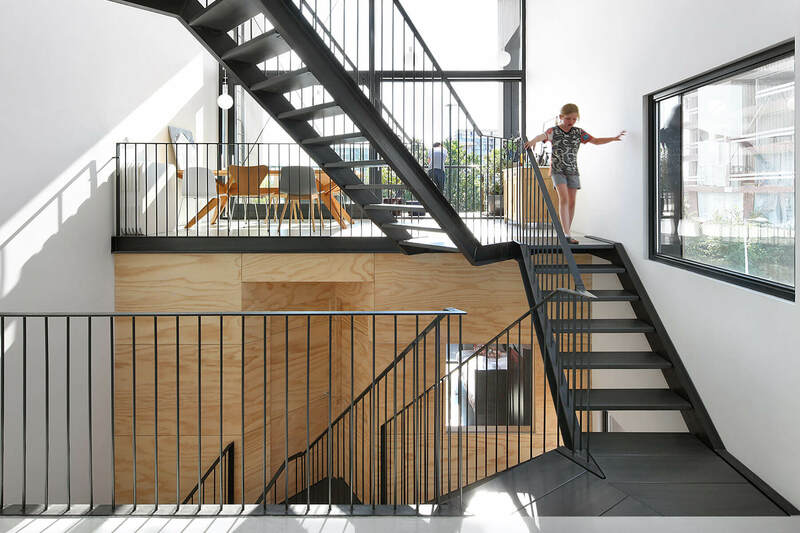 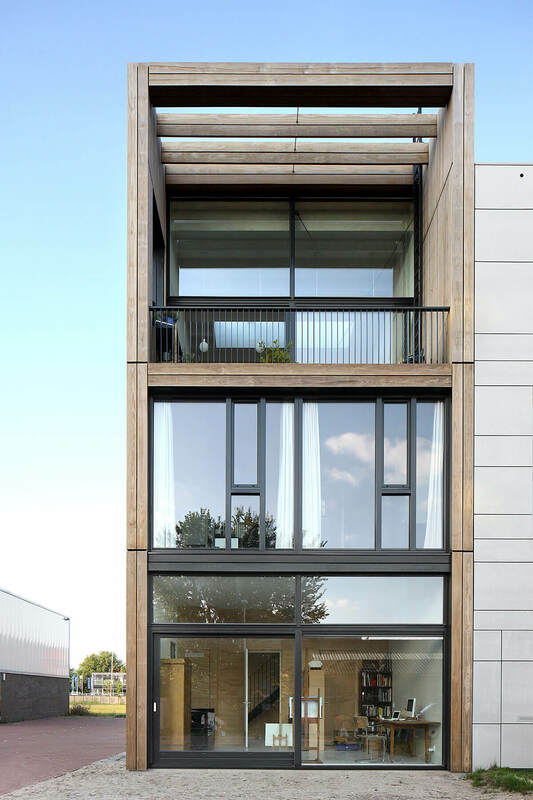 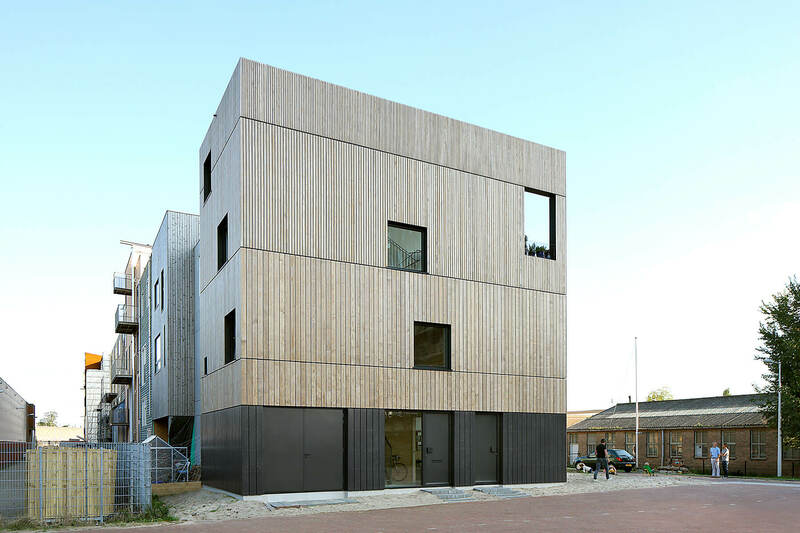 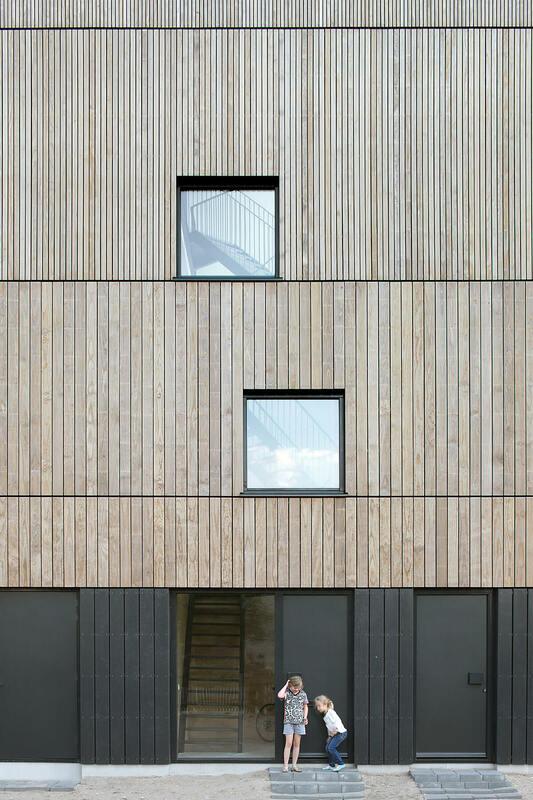 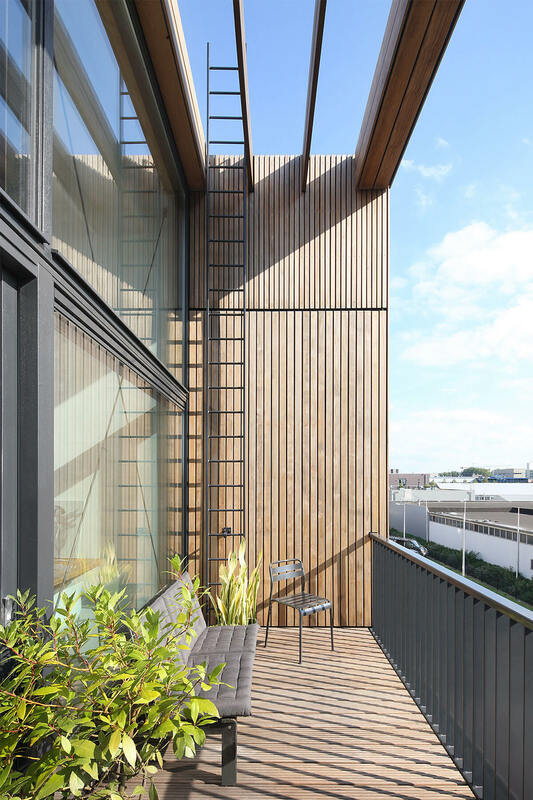 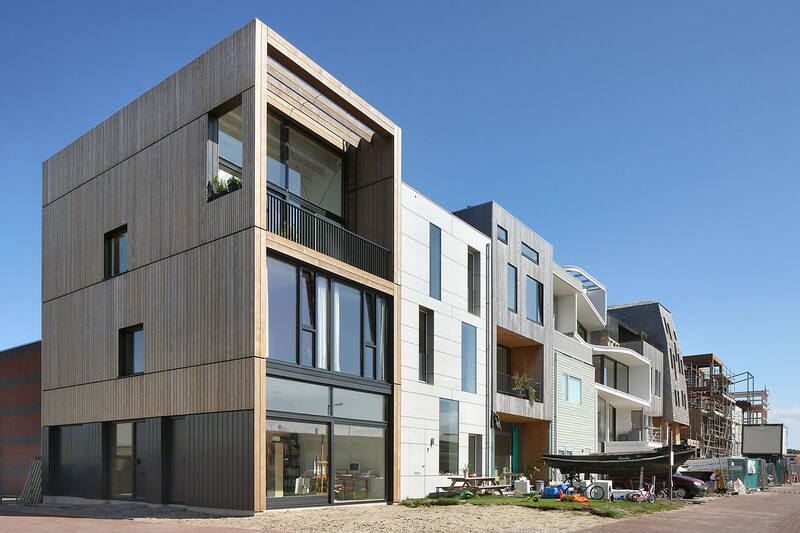 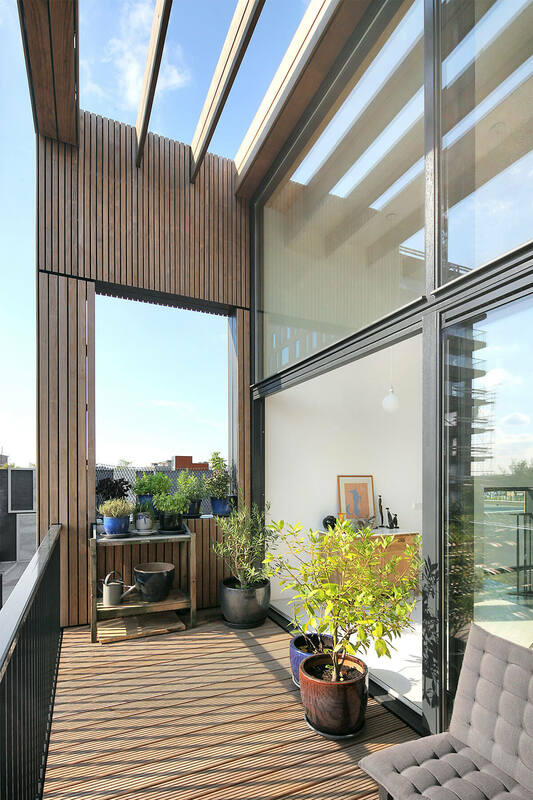 The timber exterior weathers naturally, and adds a natural warmth to the streetscape.